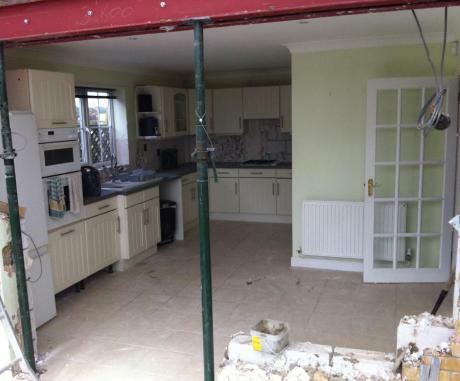 An existing conservatory constructed with poor ground work had to be demolished before the new extension could be built. 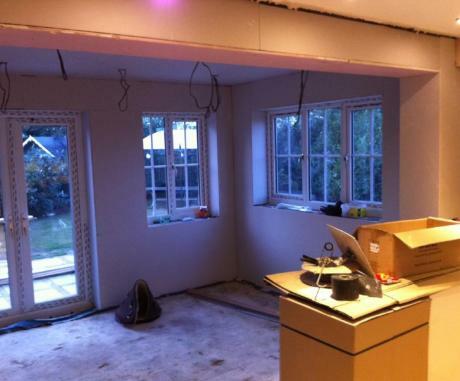 The existing outside wall was knocked through and new steel beams were installed to envelop the space into the kitchen. Whilst the kitchen itself didn’t occupy the new area it still created the feel of light and space. Instead the new space was used as an additional dining and family area.